CAMPBELL UNIVERSITY, founded in 1887, seeks to equip students with exemplary academic and professional skills that prepare them for purposeful lives and meaninful service. Campbell University enrolls approximately 6,000 students, including 4,000 undergraduate and graduate students on its main campus. They’re studying across nearly 100 disciplines in the liberal arts, health sciences, and professions — and continuing the university’s tradition of excellence in faith, learning, and service. Campbell offers hundres of extra-curricular options, including over 100 student groups and clubs, eight Greek Life organizations, over 30 club and intramural sports and four student media outlets. In addition, the University hosts International Student Services (ISS), which exists to provide a wide variety of services and activities for international students at Campbell University. Students are provided with opportunities to participate in on- and off-campus events for international students as well as to become acclimated into the university as a whole. Whatever your calling and financial background, Campbell University promises to prepare you to make a difference in the lives of others through work, service, and leadership. 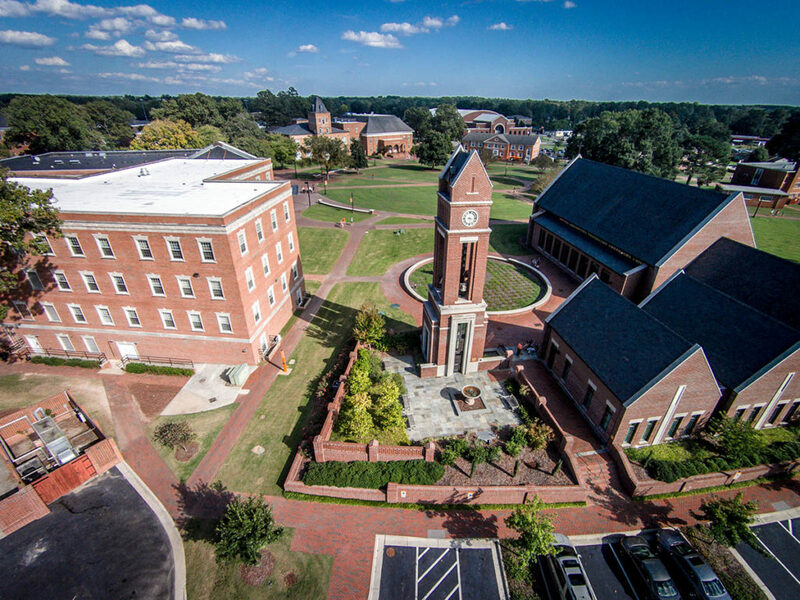 Accolades: A top-tier law school that produces graduates who’ve been the top performers on the N.C. Bar exam for 26 straight years; The only trust and wealth management undergraduate program in the U.S.
Over the 2012-2013 Academic Year, eight Campbell University students spent semesters studying abroad, ten students spent summers abroad on independent programs, and sixty-four students traveled with Campbell professors on various faculty-led summer study abroad programs. Campbell faculty-led 2013 summer study abroad programs included "British Literature in Great Britain," "Homeland Security in London and Paris," "Spanish and Ecology in Costa Rica," "Philosophy, Religion, and Art in Italy," and "Business in Spain." Campbell's Study Abroad Office also oversaw international programs led by Campbell's Divinity School, Law School, and Pharmacy School in 2013.